Meanwhile, Pyeongchang Global Peace Forum 2019 was co-hosted by Organizing Committee for the 2018 Pyeongchang Olympics, Gangwon-do, and Pyeongchang-gun and it was co-ran by Operating Committee for Pyeongchang Global Peace Forum 2019 and Korea International Broadcasting Foundation. Former President Lech Walesa of Poland who received Nobel Peace Prize was the special speaker for Pyeongchang Global Peace Forum 2019 and emphasized the importance of global peace. 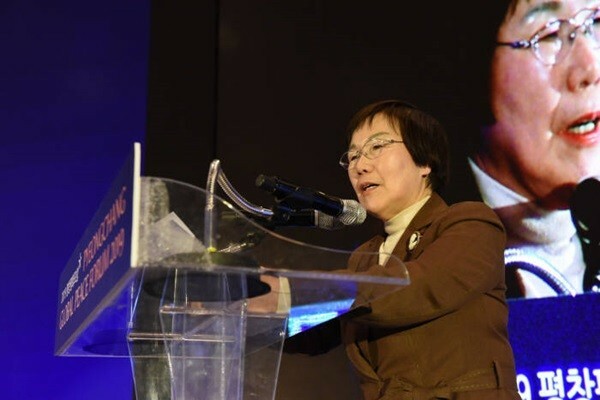 Besides Lech Walesa, Co-President Lisa Clark of IPB (International Peace Bureau) and Director Tatsuya Yoshioka of ICAN (International Campaign to Abolish Nuclear Weapons) were also speakers at Pyeongchang Global Peace Forum 2019.